Everything we do on a daily basis involves a certain amount of risk. When working with youth, it’s your responsibility as a volunteer to reduce and/or eliminate as much risk as possible. By taking a pro-active approach to risk management, you’ll identify potential risks of injury and make sure steps are in place to control the situation as much as possible. Risk can take several forms including physical, reputation, emotional and financial risk. Taking these four areas into account when planning events and activities will protect not only the youth participant but also adults involved. The ultimate goal is to create a safe environment for youth where they know they are cared for, where they can experience success and where youth can be a positive influence in their world. Your county 4-H Youth Development Agent is responsible for providing you with training in risk management and will assist you in developing risk management plans for activities and events. 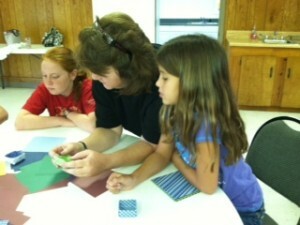 For further information, contact your 4-H Youth Development Agent and visit the volunteer page of florida4h.org.